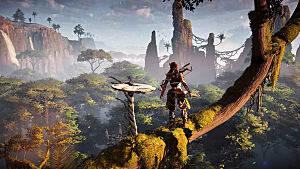 Released on February 28th, Horizon: Zero Dawn, received praise from players and critics, earning a 89/100 on Metacritic. Reviews applauded the game for many elements, including its narrative. This production takes its audience to a post-apocalyptic world where machines have taken over the planet. Players control Aloy in her quest to discover the truth over the whereabouts of her mother. One of the triumphs of this game is the depth it gives to the characters and their motivations. With this said, let us take a look on how developers managed to capture the feelings of players and let them ride an emotional roller coast in the first hour of Horizon: Zero Dawn. This game welcomes the player with a cinematic video showing the first five minutes of the story and it quickly grabs the attention of the audience, through stunning visuals, but it serves a purpose greater than filling a television screen with dazzling footage. The opening of Horizon: Zero Dawn succeeds where many games have failed. In this title, developers used the first video to give to players a preview of the journey ahead of them, as opposed to merely introducing the basics of the story through an exposition dump or a narration -- or both. This works in favor of this game, as it teases players so they have something to look forward to, thus increasing their desire to play. This is a concept better explained through examples, so let us look at some footage from the intro. 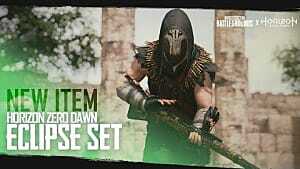 This is the first image the game shows to players. It instantly communicates what types of environments the audience will transverse in these lands. Then, the game proceeds to show the main activity of the story. In this image, players see the machines ruling the world for the first time. Attention must be given to what the character on screen says. "It is one thing to hunt a beat, another to hunt a machine. You must be humble and respect their power. I will teach you this, one day. Now, players know what their main activity in the game is. Through the sequences above, the game tells to players what the world and the gameplay will be like in the upcoming hours, but another element is missing. This scene establishes the tribal culture of this universe, which players will see in nearly every faction they encounter, thus setting the tone of the narrative, while creating a contrast with the highly advanced machines players watched twenty seconds prior. This is an example of an introduction video done properly. It sends a message to players, telling them how the world looks like, what type of activity they will perform and the tone of the experience. In case you wish to know more about how to craft introductions that will catch the attention of players, you can watch the video below from the YouTube channel Extra Credits. 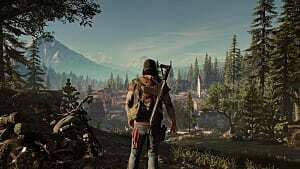 The intro of this game is important to create the an emotional experience not just because of the video itself, but what it links to, as this article will detail in the next topic. The intro of this game is not compelling just because of the reasons mentioned herein, but because it breaks one of the main tropes of video game storytelling. Before addressing this topic; however, there is a concept of narrative development that needs to be addressed first -- the three act structure. Which consists of dividing a story in three sections. 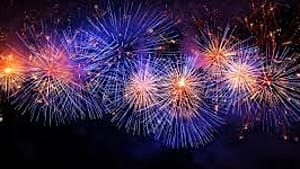 Act I - The part of the narrative that introduces the audience to the universe of the production, as well as to its characters, when an incident occurs, revealing the main conflict of the story. Act II- Shows to the audience the quest of the protagonist to solve the conflict established in the previous first. Act III - The hero has what he/she needs to overcome the conflict and this results in "the climax", the moment that solves the conflict. The film industry uses this structure in most of its pieces, but video games usually change this approach to suit the needs of the medium. 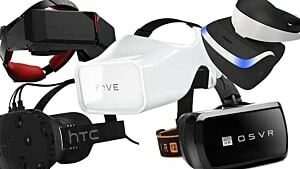 Many games rely on the narrative device known as in medias res, which means "in the middle of things." This technique consists of starting the story in Act II, with the player in the middle of the main conflict. Through dialogues and environmental storytelling, the game gives to players the background information of Act I, throughout the second act. Developers do this, because video games are about interactivity; therefore, they ensure players start fighting in the big conflict as soon as possible, because if players tackle a smaller conflict first, this might send the wrong message about the game, possibly leading to their disinterest. The video below from the YouTube channel Extra Credits explains further the use of in media res in gaming, through a case study of Fallout: New Vegas. The problem with this type of story structure is that it is difficult for the audience to relate to characters without witnessing their background story and their motivations, but this is where Horizon: Zero Dawn shines. This game employs the three act structure, on top of a technique that is the exact opposite of in medias res -- ab ovo. It means "from the beginning" and consists of showing the entire arc of a character, since the moment he/she was born, to the conclusion of the story. In Horizon: Zero Dawn developers used this technique by introducing players to Aloy as a baby. 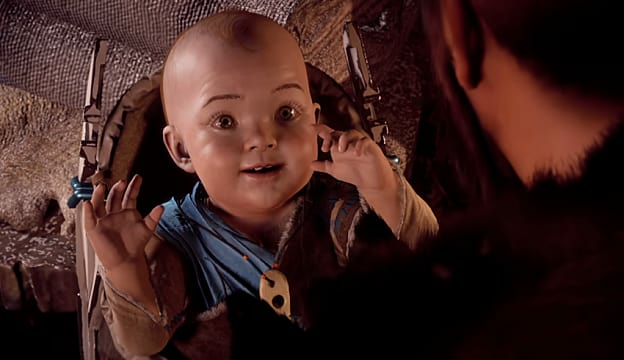 Once the intro video is over, the audience witnesses her as a child, when she falls into a cave that houses the ruins of the old civilization. Shortly after returning to the surface, Aloy indulges to her father-figure, Rost, over the fate of the mother she never met. He claims not to know the answer and establishes the inciting incident. 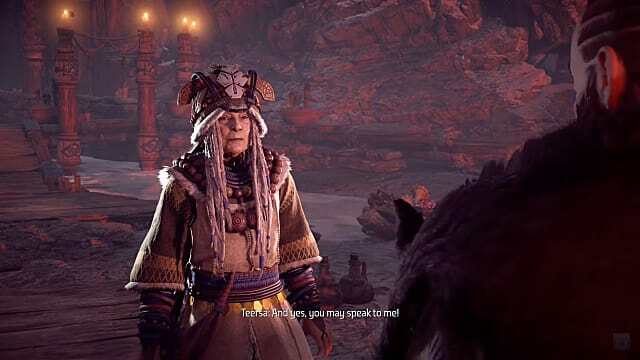 He tells Aloy that the only way to get the answer she seeks is becoming a survivor and finishing " the proving" and being accepted by the Caja tribe. 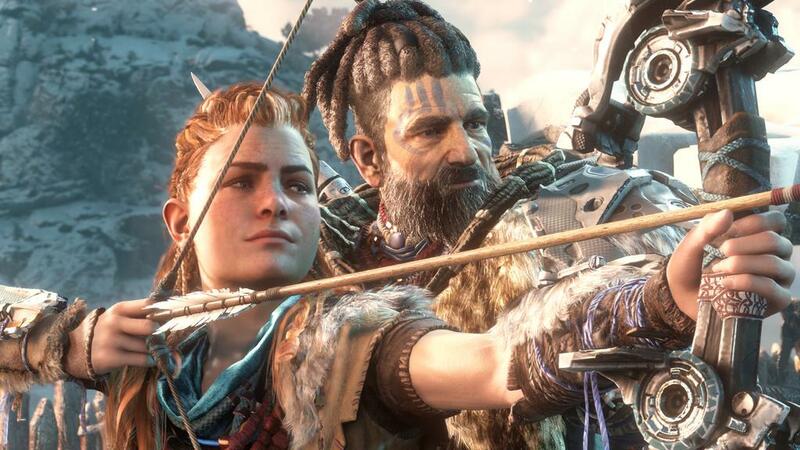 Aloy accepts to train for this purpose, starting a sequence of tutorial missions, with which players can relate to and care about, given that they have a clear objective -- train to participate in the proving. This game has an interesting first act, when many others fail to accomplish the same, through tutorials that do not have a meaning for the narrative, or by skipping the first segment of the story altogether, through in medias res. 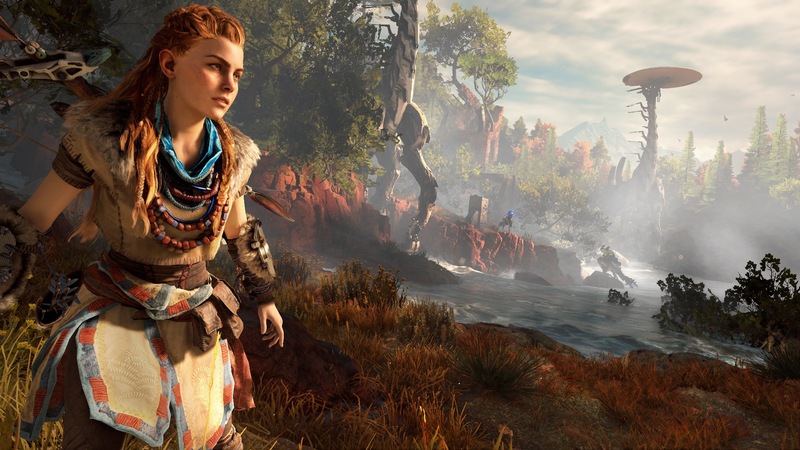 By allowing players to literately see the growth of Aloy, Horizon: Zero Dawn ensures players have a clear sense of her motivations and her personality. There is; however, another character that is crucial to create an emotional first hour in this game. Creating a compelling character in a video game is difficult due to the innate interactivity of the medium. Writers do not just write actions, as in a movie scene, they also need to design interactions. In his book Level Up! The Ultimate Guide for Game Design, Scott Rogers describes a method to create powerful relationships between players and characters -- the Yorda Effect. "Named after the non-player character from Ico, Yorda is a young girl that Ico has to protect from enemies and help transverse the environment as the pair attempts to escape a mysterious castle. Yorda is portrayed as a (mostly) helpless character, and her survival is critical to the player's success. If Yorda dies, so do you. This co-dependency between characters creates a protective relationship, in which the player comes to genuinely care about the welfare of the NPC." If players think of their favorite non-player characters, they will probably recall of a character they depended on. The intent of this technique is to let other characters, apart from the protagonist, to impact the game positively. 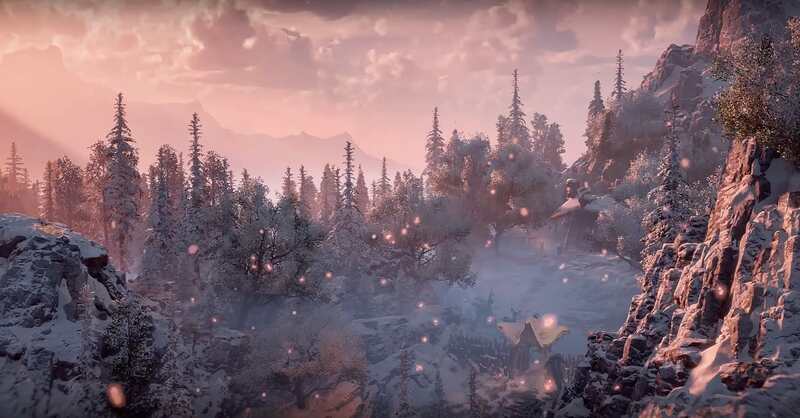 Horizon: Zero Dawn uses the Yorda Effect to make players create an emotional connection with Rost. He trains Aloy and stays alongside her through most of the first act of the story. He is literally the man responsible for turning Aloy into who she is. Without him, there would be no story. On top of a well-written character, this dependence is what connects players to him. This section discussed how the game used gameplay interactions to craft an emotional connection with a NPC, but now we will see how the story and gameplay build the protagonist -- Aloy. Unlike other mediums, video games are interactive experiences and while this gives to writers more tools to work with, it also makes it harder to write a story, because, in order to achieve the best result, narrative and gameplay must work together. 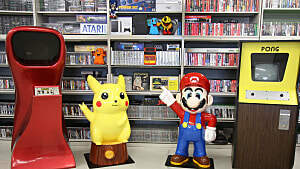 This may seem simple at first, but many games feature stories that contradict what the players does, in order to keep the gameplay interesting. An example is Tomb Raider (2013). 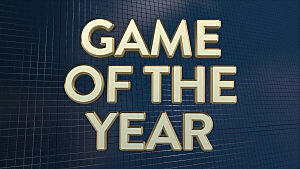 In this title, players control Lara Croft. 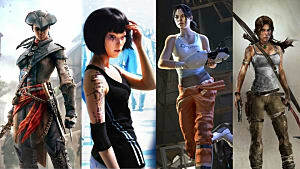 During cutscenes, the game portrays her as an average girl learning how to survive, but once players gain control over her, she grabs firearms and murders enemies by the dozens. This is an example of the concept known as "ludonarrative dissonance", which occurs when the gameplay contradicts what the message the story tells. This lessens the emotional impact of the experience, as its most important pieces contradict each other, instead of working together. In Horizon: Zero Dawn, Aloy performs stunts similar to what Lara does in Tomb Raider, but the previous triumphs over the latter, because in it there is no dissonance in the ludonarrative. 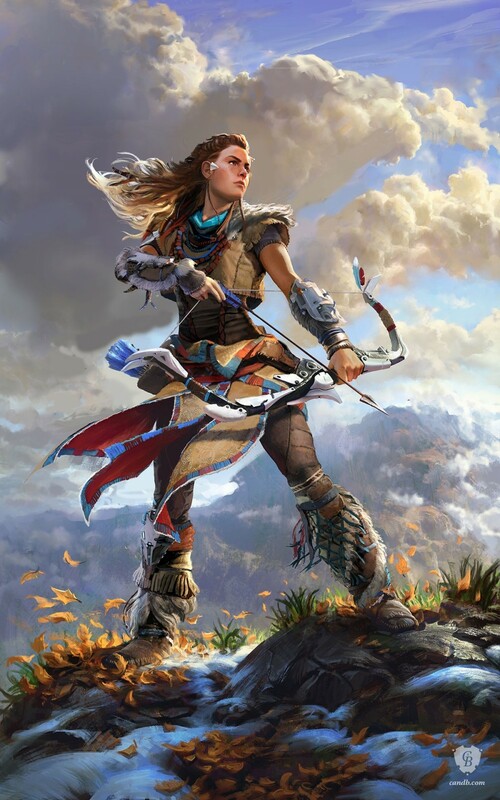 Aloy trained throughout her entire life to become the ultimate survivor; therefore, it is reasonable that she is a capable fighter and has above average strength, stamina and agility. 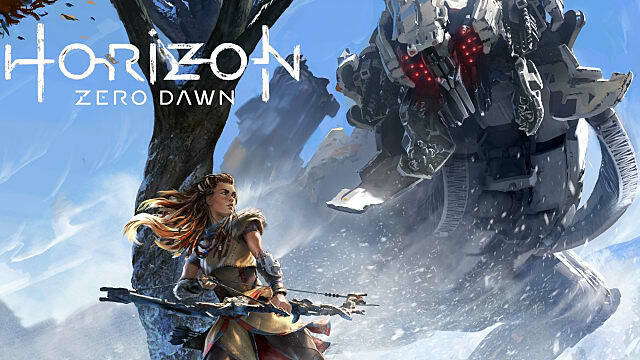 The experience as a whole benefits from the gameplay and the narrative of Horizon: Zero Dawn working together, as players have a genuine feeling that they are in control of the same character they see in cutscenes. This creates more emotional depth in the experience, as the protagonist is consistent throughout the story and players can witness her development unfold. 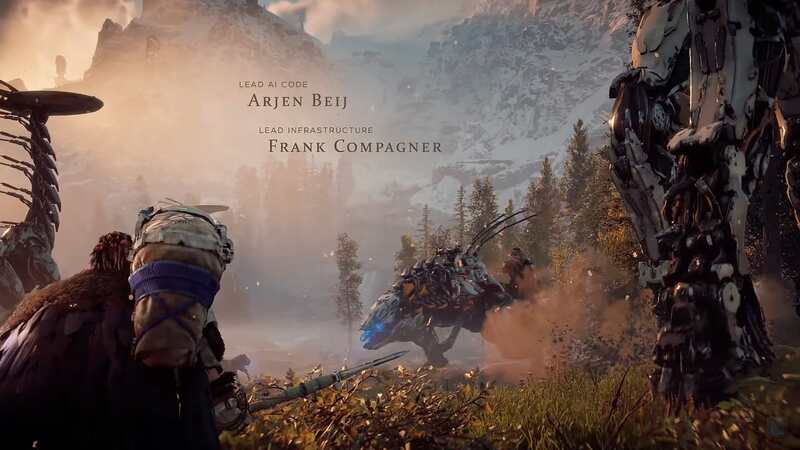 The creatures players encounter in the post apocalyptic world of Horizon: Zero Dawn look, move and behave as animals from our time, but they are made out of metal instead. They are similar, yet strange. This dichotomy creates inside the minds of players what is known as "the uncanny." This concept was first established by Sigmund Freud in his book The Uncanny (Das Unheimliche). In it, he argues that people have sets of proven beliefs about the world. "The sky is blue", "fire is hot", "grass is soft", are some examples. "An action that contradicts existing beliefs, ideas, or values; or when confronted with new information that contradicts existing beliefs, ideas, and values." Horizon: Zero Dawn applies this technique with its animals made out of steel, challenging the logic of players, which state that animals are made out of flesh. This creates the cognitive dissonance that leave players in a position of vulnerability, as they do not know how the machines will behave, thus making the first enemy encounters of the game more intense. The use of the uncanny to create a cognitive dissonance in players ensures that the first hour of the experience and its enemies create moments of tension, until players make a mistake and learn the hard way how these creatures battle. There has always been attempts to demerit video games as a medium capable of producing rich experiences. However, as writers and developers continue to learn the language of this form of entertainment, more mature titles appear. 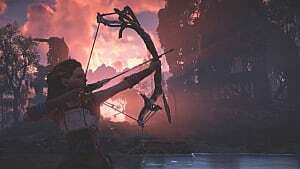 Horizon: Zero Dawn is an example of a production that portrays how much video games have evolved since their birth, not only in regards to graphics, but in terms of narrative. 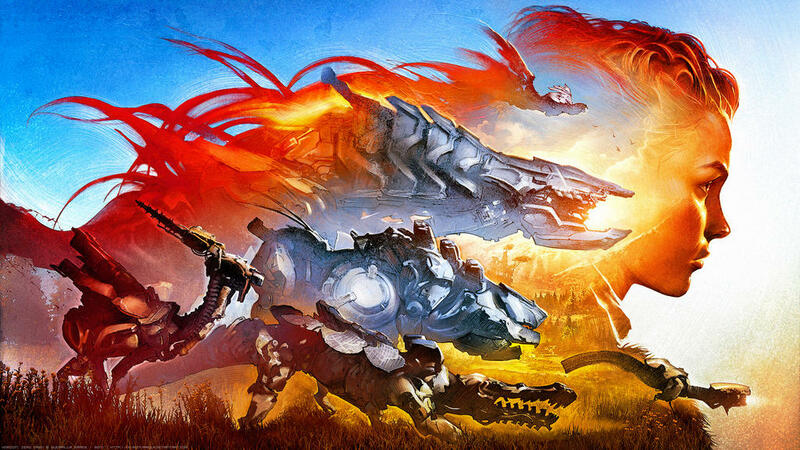 We can only speculate what the future holds, but the journey of Aloy may become one of the timeless pieces of art this medium has produced, including BioShock, Metal Gear Solid and others. The first hour of the experience ensures to communicate this to players, as the initial missions make the audience embark on a emotional roller coaster that only gets more intense as the narrative progresses, until reaching its climax.